Nick Family Cruise: Jennette’s Zip Line Adventure! J-14 heard rumors that Jennette McCurdy was headed for a zip lining excursion in Mazatlan, Mexico, so we were psyched to hear all about it when she got back on the ship during the Nick Family Cruise! “I think zip lining was pretty spectacular — the view is great,” Jennette tells J-14. “It wasn’t as scary as I anticipated. I was pretty scared leading up to it. Then once I did the first one, I was like, ‘Oh, okay!” That’s a pretty big deal – Jennette’s afraid of heights, but she’s trying to get over it by going on rollercoasters and trying out new things, like the zip lines! Jennette wanted to tell you all about her zip line adventure herself, so check out her video below! Do you have a phobia, like being afraid of heights? What have you done to help get over your fear? What do you think of Jennette's zip lining excursion? 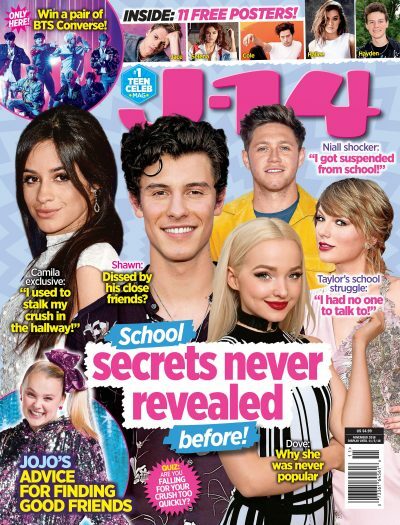 Check out more of iCarly's Jennette – like her fab style featured on our back-to-school fashion page, plus an awesome win it — in our September issue, on stands now!